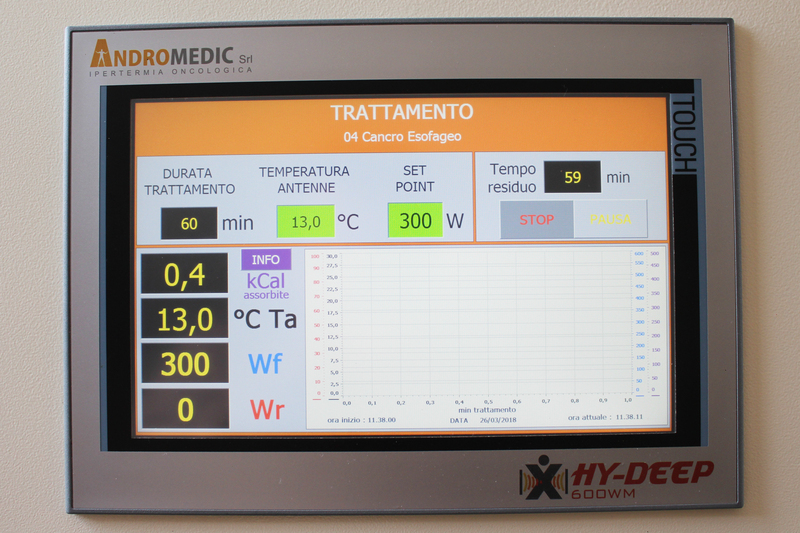 In 2012, from the entrepreneurial initiative of a group of experts from companies operating in the health sector and, from the request of numerous specialists in the oncology sector, a passionate team of doctors and engineers was born to promote the practice of oncological hyperthermia as a therapy for fight cancer. 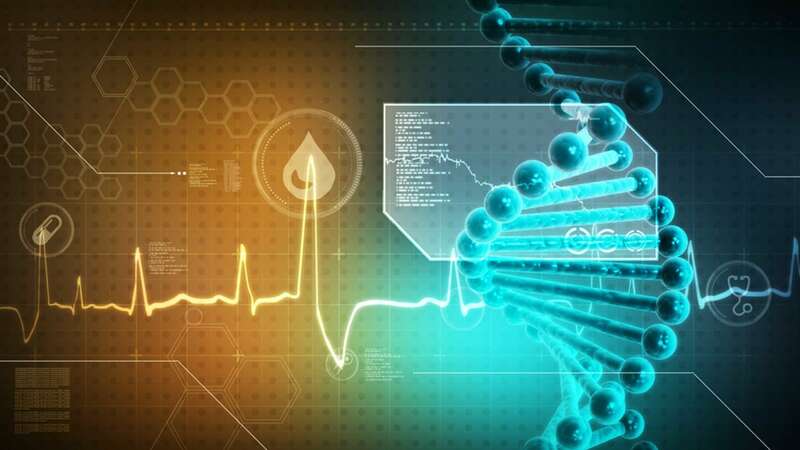 The team has direct experience with oncological hyperthermia as a cancer cure and has directly gained awareness of the promising results of the therapy. The final goal of the Andromedic team is to spread the use of hyperthermia as adjuvant, adjuvant and neo adjuvant to classic treatments (Surgery, Chemotherapy, Radiotherapy) for the treatment of cancer and, finally, to consolidate the hyperthermia as a fourth pillar for cancer treatment. The team firmly believes in the effectiveness of the method, which may increase survival, while improving general well-being and providing relief in the control of painful symptoms to cancer patients. Andromedic Srl is present in the electro-medical market with a team made up of personnel with heterogeneous skills and specialized according to the organizational and technological context. It combines quality, solidity and professional skills, with flexibility and speed in responding to customer needs; fundamental characteristics of specialized companies. 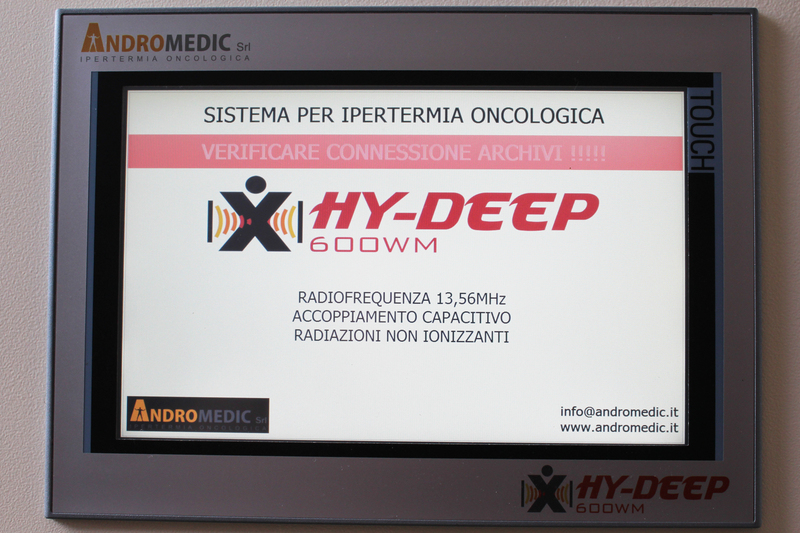 The HY-Deep 600WM contains a series of cutting-edge technological features that make it a unique device in the market of deep oncological hyperthermia. The pages you are about to visit include technical information on products manufactured and distributed by Andromedic Srl. 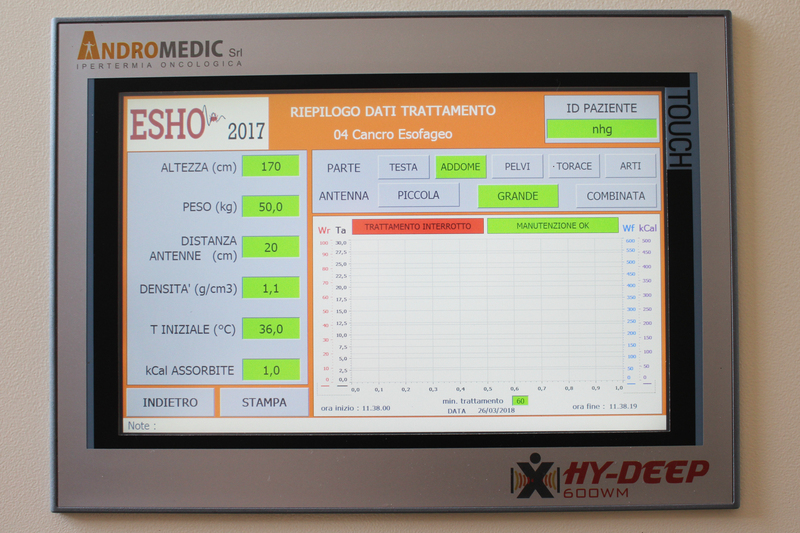 The following information is reserved to all professional operators interested in learning about the technical characteristics of Andromedic Srl products, in compliance with the guidelines of the Ministry of Health Circular of 17/02/2010. This information can be accessed by password, subject to verification by Andromedic srl staff of the professional qualification of the user ( go to the specific page by clicking here ). 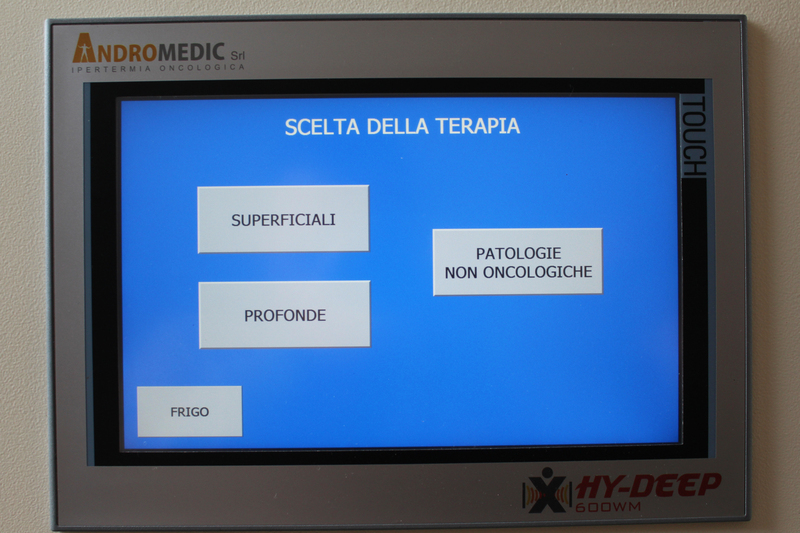 with protocols for single oncological diseases and with specific algorithms to better treat our patients. with radiofrequency transmitter and innovative cooling circuit to provide comfort and avoid burns. It does not require screening of the rooms. Very convenient for patients during treatment . How does the treatment of hyperthermia work? 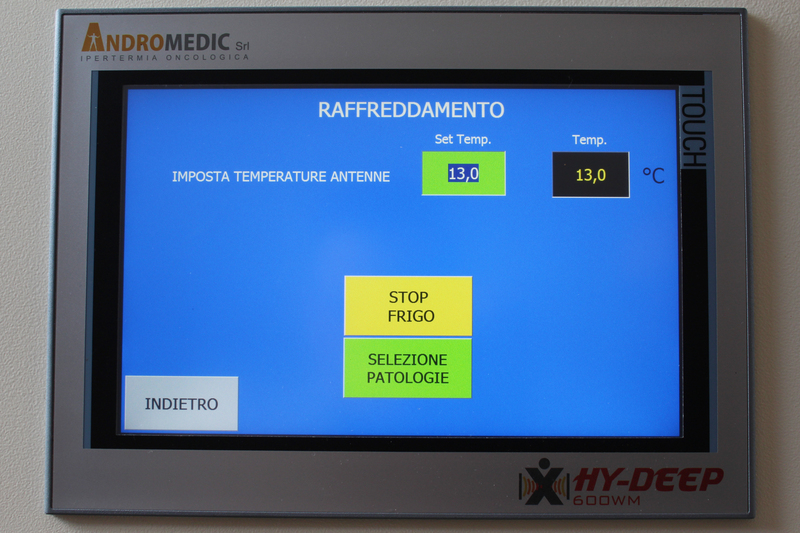 Who can benefit from the treatment of hyperthermia? 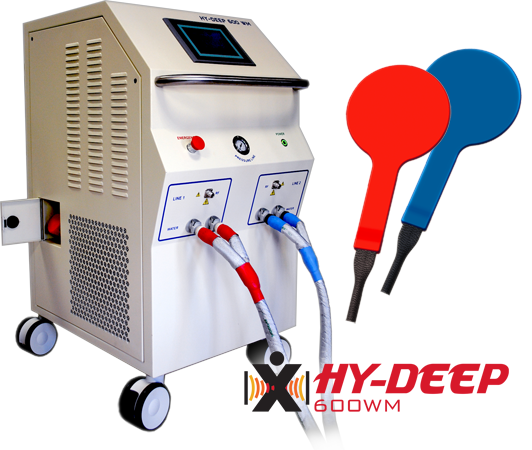 Treatment with HY-DEEP 600WM is simple and effective, painless, non-invasive and without side effects. 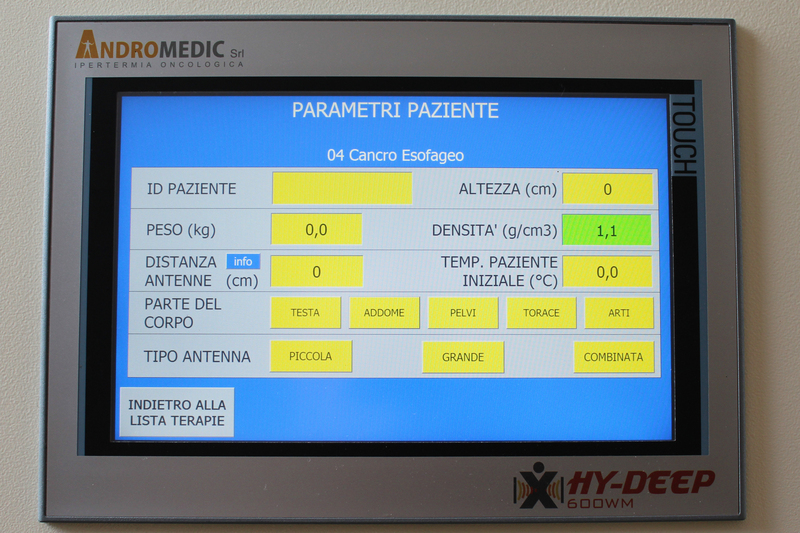 Hyperthermia treatment is suitable for most cancer patients with solid tumors. 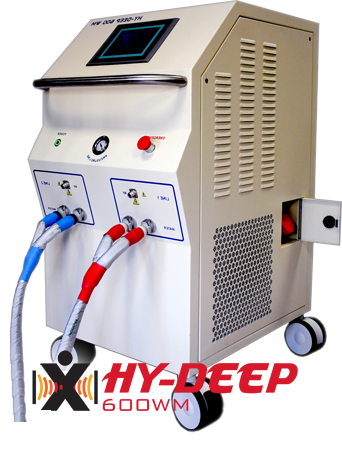 Deep hyperthermia by heating in a controlled temperature range activates a series of mechanisms including cell apoptosis. Treatment improves the body's response to chemo and radio therapy when used as an adjuvant. Request an appointment is free !